Extenda-Bond Adhesive Strips hold well for lace and poly bases. 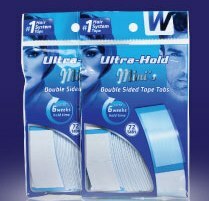 The double-sided adhesives provide a strong, long lasting hold for all hair systems, hairpieces and extensions. 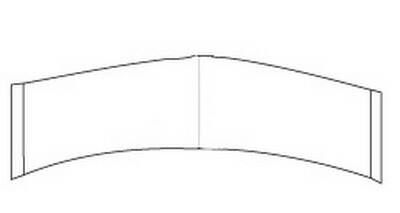 Extenda-Bond Adhesive Strips also go by other names such as Pro-Flex, Geo-Bond. Bonding time is up to 3–6 weeks (average is 4 weeks but varies for individual depending on factors such as body oil and humidity). Each full-size straight strip is 1½” wide x 12” long and can be cut into smaller tapes or down the middle to make two, ¾” wide x 12” long strips for perimeter or full-head bonding, perimeter bonding and extension attachments. This item is the “original” hairpiece tape with holes, and the holes let your scalp breath and make it easier to remove. Clear with low shine, it is as thin as plastic wrap and provides a strong hold on extended wear and lace systems. It can also be used in combination with liquid adhesives such as Ultra Hold and Mity-Tite. Removal & Clean-up: Use Lace Release to release adhesive for lace fronts or mesh bases. Apply C-22, a citrus-based solvent, to remove adhesive residue from scalp and hair systems.